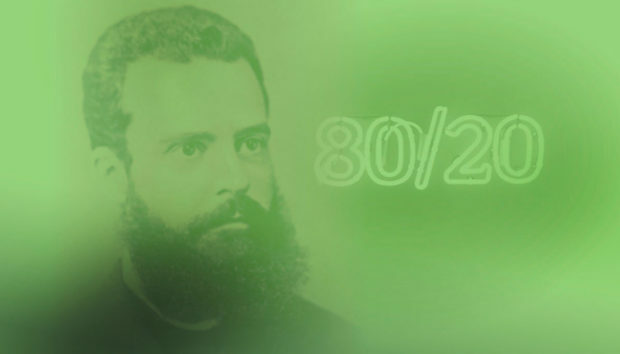 The Pareto Principle, aka the 80/20 rule, is named after Italian economist Vilfredo Pareto (the dude in the picture) who in 1906 found that 80% of the land in Italy was owned by 20% of its people. Ok, but why is it called a principle? Well, he carried out surveys in other countries and found that the 80/20 distribution occurs frequently. Nowadays in business, this principle is a common rule of thumb, for example, in general, 20% of customers represent 80% of sales, 20% of time spent produces 80% of results… you get the gist. If you apply the Pareto principle to a bar chart, the result will be values plotted in decreasing order of occurrence, organized from left to right. As a result, the chart clearly illustrates which factors have the greatest impact and what problems need the most attention, making them extremely useful in a variety of situations. 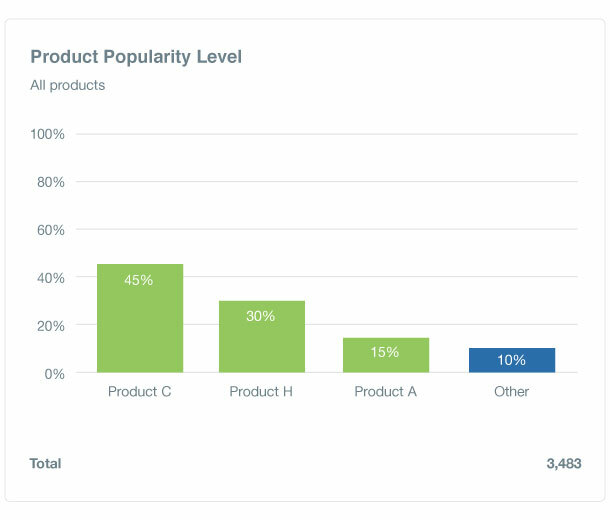 When to use the Pareto principle in a chart? When analyzing survey frequency data. When there are many items, and you want to focus on the most significant one. When analyzing broad issues by looking at their specific components. When sharing your survey data with others. 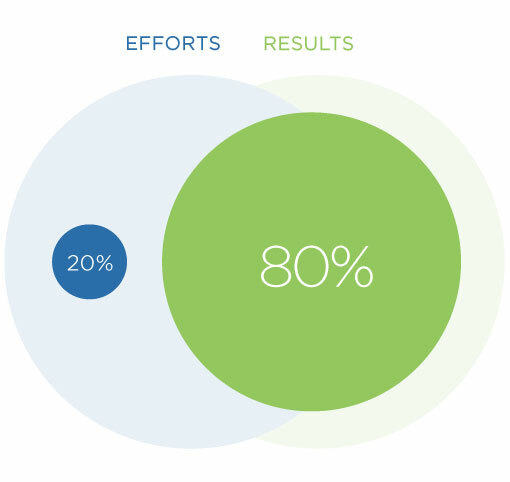 The Pareto principle is without a doubt a necessary tool for you to know better. That’s why we’ve made it very simple for you to create your own. Want to learn how? Click here. ← What is being enalyzed?